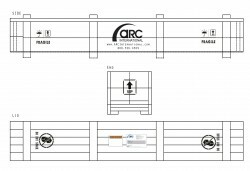 ARC is committed to your roll arriving in perfect condition. We take the greatest care in packaging and crating each and every roll regardless of its size. Our custom designed containers and crates give the best possible support during shipping which prevents impact shock, minimizes vibration and protects against external factors such as moisture and heat.